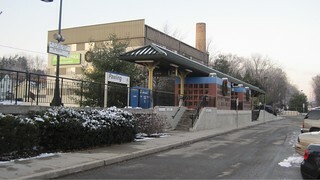 The former station building and a station sign still exist at the location of the old stop. 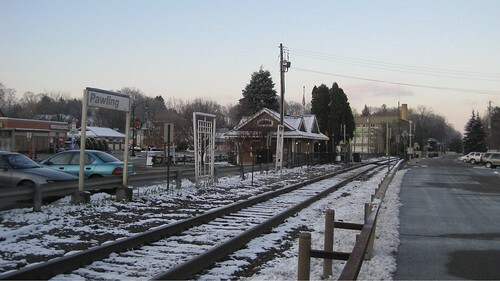 The platform is now a little north of town, and can be seen in the distance in the photo. A closer picture of the modern high level platform.